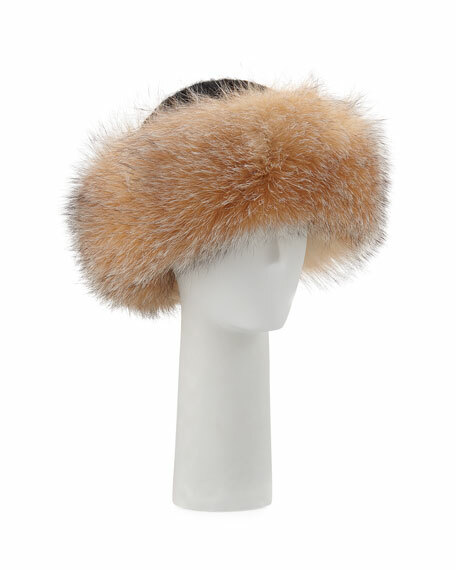 Surell crown hat with dyed fox fur (Finland) cuff. One size fits most; approx. 22.5" head size. For in-store inquiries, use sku #688892.